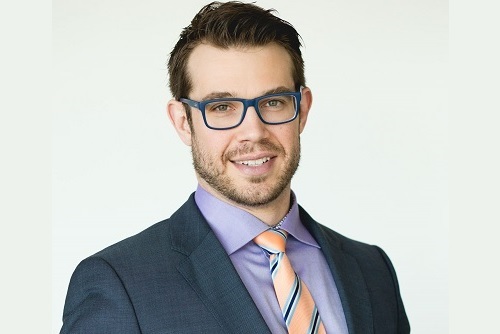 In this exclusive interview with Wealth Professional, Jonathan Showers, a branch owner and senior investment advisor at Summit Private Wealth, weighs in on the problems he sees facing clients and advisors in the Canadian investment space. What do you think are the most significant financial challenges that Canadians are facing today? The most significant financial challenges today must be the country’s debt-to-income ratio, which reached 167.8% in September according to Statistics Canada, as well as the clear lack of options in terms of differentiated investment planning and access to alternatives. In my opinion, the public has a very defeatist attitude with regard to active strategies. People may say the majority of active managers underperform the index, so they’ll decide to buy an index. But among the tens of thousands of funds available in Canada, why focus on discounting the ones not doing well? Out of the remaining effective mandates, you should be able to find two or three that fit your risk tolerance or investor profile, and regularly beat their indexes. I think there are also problems with regulation that create something like a glass ceiling. You end up looking at the wealthiest investors with a significant chunk of their assets in private and alternative investments. According to a CPPIB news release titled “CPP Fund Totals $298.1 Billion at Third Quarter Fiscal 2017,” about 43% of the fund’s portfolio assets were invested in private and alternative investments by the end of December 2016; our own pension funds see the pitfalls from inefficient markets, fixation on specific sectors, and volatility. But average investors, who are mostly invested in pension funds, have a tough time doing the same thing. I understand the need to protect consumers from unnecessary risks, but completely fencing them off to opportunities during these times, I think, is a considerable disservice. Finally, I think the changing landscape of taxation for small-business owners brought about by the Liberal government presents a challenge. Do you think most advisors have been able to keep pace with the demands and needs of the public? Why? In my honest opinion, I do not believe advisors for the most part have been able to stay current. I feel it is a combination of things that have made it difficult for most to keep up; that includes the growing age of the average advisor, as well as the fast-paced changes arising from all the fintech that we are seeing. Compounding the problem is the ever-growing product lineup. Advisors are increasingly regulated to make sure they find the best products for their client, but the average fund lineup has five to seven different series. Providers are constantly creating new products when there are already so many that don’t work or aren’t being used right. There’s a lot of focus on innovation and trend-chasing, and probably not enough on product renovation and portfolio strategy. I think investors and advisors would benefit if the industry had fewer but more effective mandates. Additionally, many firms are reticent to making changes. I feel that there are very few that truly seek to add value through differentiation. I think more advisors should also consider doing things to shake investors out of their complacency. I’m not saying anyone should fight with their clients, but I think more people should hear the case for the road less travelled, which at the moment is the opportunity in non-index investments. From your standpoint, what else could financial professionals do to help Canadians? I truly believe that the biggest service an advisor can do is to take a step back from the products and the sales pitches and return to the fundamentals, the basics. Go back to asking “What can I do to truly help and benefit the clients sitting in front of me?” Focus on aligning your interests as an advisor to their interests. From there, align their portfolios and reflect what the best investors are doing through a combination of both public as well as private investments, like the pension plans. There should also be more effort to realign the criteria for accredited investors and the costs of accessing alternative funds. You could become an accredited investor based on income, family income, or liquid net worth of a million dollars, but the price of admission for a lot of products is $250,000 to $500,000. It is challenging to recommend that an investor allocate 50% of their liquid net worth into one investment strategy. That’s why we’ve been working on democratizing those opportunities, negotiating to get those minimums down below $25,000. But industry-wide, as the number of independent shops decreases and there are more firms that would want to push specific products, you’ve got to wonder: how many will be left to fight for that democratic access to the ones investors actually need?